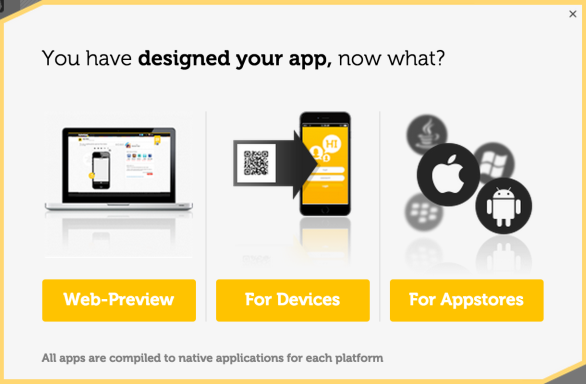 I’ve tried briefly the new third party service Kinetise: build mobile apps in a snap! in IBM Bluemix. For testing purposes I built a mobile app that displays news entries from Bluemix.info. 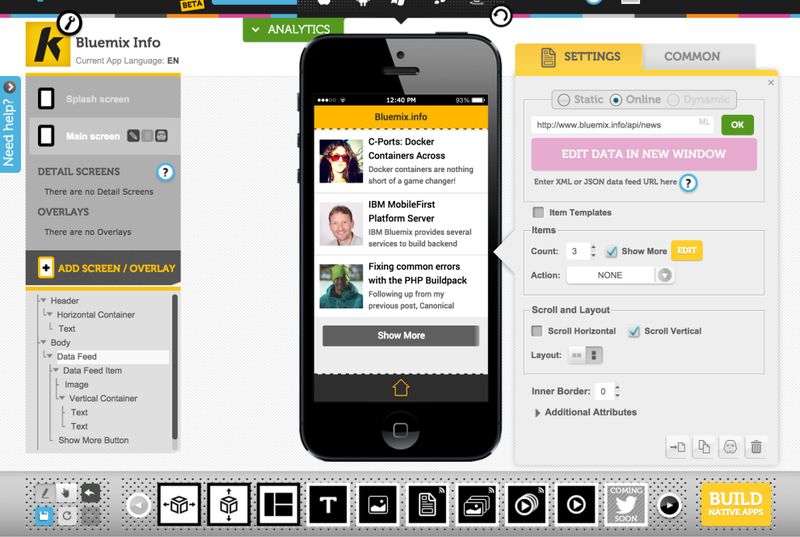 Kinetise provides a web based user interface to build mobile apps without much, if any, programming. The tool provides typical UI controls to create different screens and flows between them. Check out the first 14 short videos to learn how to assemble these apps. Additionally developers can build their own individual backend services as described in the last video. These services need to follow certain conventions and can then also accept data sent from the mobile devices. There is a tutorial explaining how to write such a service via Node.js on Bluemix which reads and writes from and to an SQL database. The developed mobile apps can be previewed in web browsers and the native mobile apps can be built (at this point Android and iPhone). 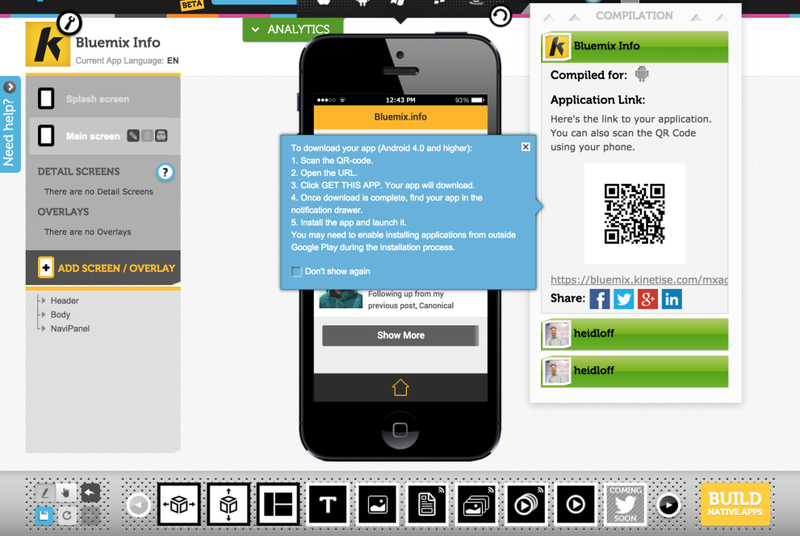 The built apps can be opened on devices via QR code.